,so you can make an informed decision! NET conducts junior high, senior high, Confirmation, and mixed-age retreats. We provide a variety of retreat themes, dramatic skits, and music, making every retreat a unique and Catholic experience. While the theme varies, the message is always the same: “In Jesus Christ, the son of God made man, who died and rose from the dead, salvation is offered to all, as a gift of God’s grace and mercy.” (Evangelization in the Modern World, Pope Paul VI) NET retreats are a great component to integrate into your existing Catholic youth program, Parish/School Programs, and Youth Nights. With great power comes great responsibility! At Confirmation, the grace of Pentecost is unleashed and we receive greater access to the gifts of the Holy Spirit. God can do incredible things with us if we are open to His action. How will your life look different when living in the power of the Holy Spirit? This theme explores the personal experience of young people who open themselves to the action of the Holy Spirit after Confirmation. This talk is suitable for all Confirmation programs. There is no cross, big or small, in our life which the Lord does not share with us When storms rage, boats will rock. When you suffer, what or who is your anchor? 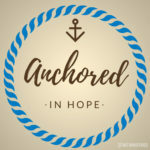 This theme explores the power of being anchored in the hope of the resurrection in the midst of suffering. Only God is big enough to fill you. The pursuit of happiness motivates every decision we make. Why is it, then, that we find ourselves unhappy so often? This theme explores our search for true happiness, highlighting the one thing that is big enough to fill our deepest desires – God himself. Remember who you are. Who are you? A soccer player? A dancer? The funny guy? The nice girl? There is one identity you don’t have to earn and cannot be taken away. 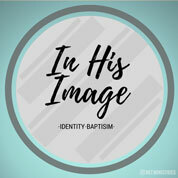 This theme explores our inclination to identify ourselves by what we do rather than who we are as God’s sons and daughters. Middle school, Senior high, Confirmation. One universal home guaranteed by God. What if there was an institution we could trust when our reasoning fails us? What if there was an institution guaranteed by God himself to withstand every difficulty the world offers? There is. 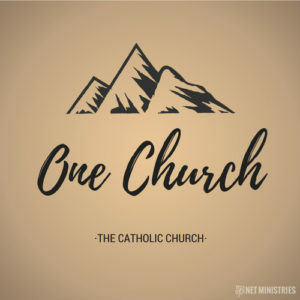 This theme explores the Catholic Church as the universal home for all people. We owed a debt we couldn’t pay; He paid a debt He didn’t owe. We owe a debt we can’t pay. 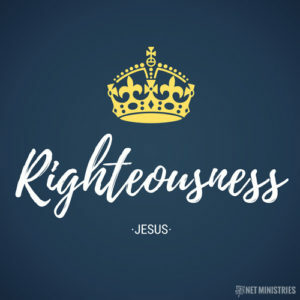 Who has the righteousness to volunteer as tribute? This theme explores who Jesus was and how His sacrifice restores our relationship with God. Middle school, Senior high, Confirmation. True friends walk together through their weakness. Betrayal, gossip, and scandal: these traits often characterize friendships portrayed in the entertainment industry. What if our friendships, were instead marked by support no matter the circumstances? This theme explores the role of authentic friendships and their ability to empower us to greatness. Real men lay their lives down for others. What does it mean to be a man? Strength? Fame? Wealth? Masculinity means sacrifice. Fewer and fewer men are willing to respond to this difficult call. Do you have what it takes? This theme explores authentic masculinity in response to Christ’s example of laying down His life for others. Say “yes” to God. Say “yes” to love. Mary crushed the serpent’s head and welcomed Jesus into the world by saying “yes” to God’s plan for her life. God has an incredible plan for your life and wants to share himself with others through you. Will you say “yes”? This theme explores authentic femininity through imitating Our Blessed Mother, Mary. You are loved and saved! How can we experience the gift of God’s Joy this season? 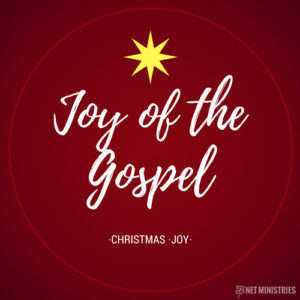 In Pope Francis’s letter, The Joy of the Gospel, he writes, “Christianity spreads through the joy of disciples who know that they are loved and saved.” This Christmas theme explores how we can experience the Joy of the Gospel by remembering God’s love and saving grace. When we see that it truly was God who became man, we can be open to the journey he invites us on to become like him.We are each on a journey. Many traveled 2000 years ago to visit a child during this season we call Advent. But what sort of child attracts the attention of the world leaders of the time? 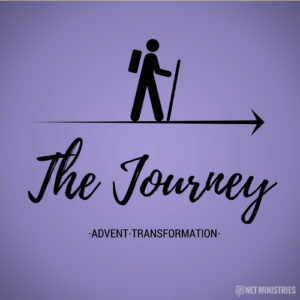 This Advent theme explores the intrigue surrounding Jesus’ birth and our journey to become like Him. 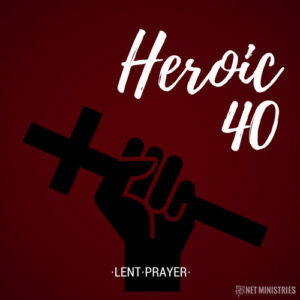 Commit to the Heroic 40; Forty days and forty nights of prayer with guaranteed results. Think about the many diet plans that promise great results “in just forty days.” What would the world be like if we took these 40 days of Lent to truly grow closer to God? This Lenten theme explores the way God can transform our life when we seek him consistently in prayer. Middle school, Senior high, Confirmation. Jesus rose from the dead so that we can live. Too often our daily faith experience is disconnected from the power of Christ’s resurrection. What difficulty in your life do you need the power of Christ’s resurrection to overcome? 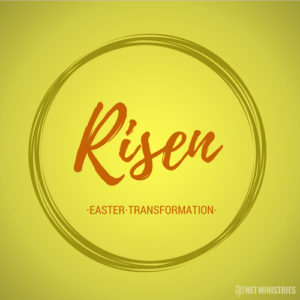 This Easter theme demonstrates that Christ’s rising from the dead has a direct impact on the lives of those who follow Him. The overnight and weekend retreats provide a more intense retreat experience by taking the youth out of their regular environment and helping them to think seriously about their relationship with God. Throughout the retreat, young people will participate in small group discussions, prayer, and activities aimed at helping the young people take ownership of their faith and grow deeper in relationship with God. And, of course, there will be time for recreation and fun! On day two of the retreat, the retreatants are presented with practical steps they can take to build their life on Christ (prayer, sacraments, fellowship, and service). 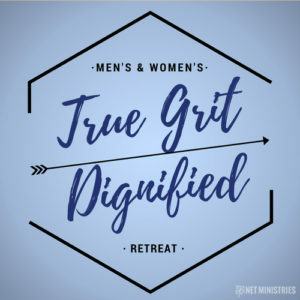 They’ll also spend time separately as women and men to grow in their understanding of what it means to live as God’s daughter or son during the True Grit/Dignified presentation. The retreat closes with the presentation “Fear Not,” followed by a time of prayer, during which the young people are invited to respond to God’s love and commit their lives to Christ. This NET overnight retreat is not a “lock-in” type experience. The team and the youth will sleep during the night hours. Experience has shown us that NET’s overnight and weekend retreats are most effective when they are done with groups that are small enough to be reasonably supervised and mature enough to handle the length and intensity of content. We would like to provide your youth with the best retreat experience possible, and ask that all weekend retreats be limited to a maximum of 80 youth in grades 9-12 only. If you are hosting an overnight retreat, please choose a site that will provide hot water showers for the team and at least two separate sleeping areas for the men and women. No chaperones needed if the group is under 80 youth and only in high school. The host parish is responsible for arranging the meals and lodging needed for these retreats. If beds are not available, please have the youth bring sleeping bags, or as a last resort, consider having them return home for the night. The host parish will also need to contact a priest to be available for the weekend liturgy. Mass, Reconciliation, and Adoration of the Blessed Sacrament are highly encouraged for the overnight and weekend retreats. 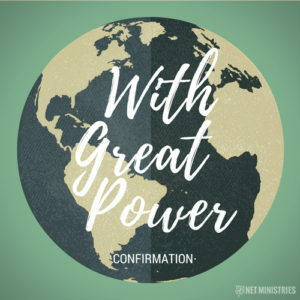 When the NET team leader calls to confirm the details (7-10 days before the retreat), please let them know you’d like to have Mass, Reconciliation, and/or Adoration. Please have priests available in those cases. Inquire about these with our scheduling department. 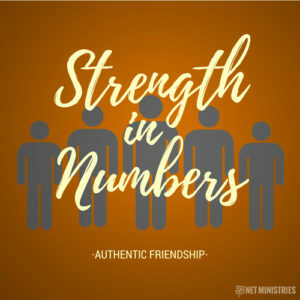 What makes NET Ministries so successful is our peer to peer approach to evangelization. 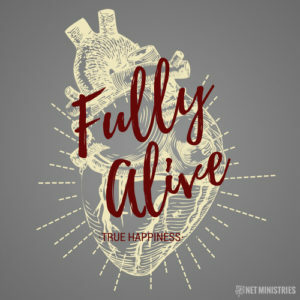 The witness of young, zealous missionaries, filled with the joy of the Gospel, invites young people to participate in the “abundant life” (John 10:10) that Jesus offers. Retreats are effective at providing an opportunity for young people to encounter Jesus and offer their lives to him; however, discipleship requires regular formation, accountability, and witness by other disciples. Having a monthly NET team on campus can begin to help strengthen and enliven the work of campus ministers and faculty in forming students as disciples of Jesus.